Booking is essential. Members-only event. Please contact Keiko Nishioka at 01603 597510 or email [email protected] to reserve a place or find out how to become a Friend of the Sainsbury Institute. 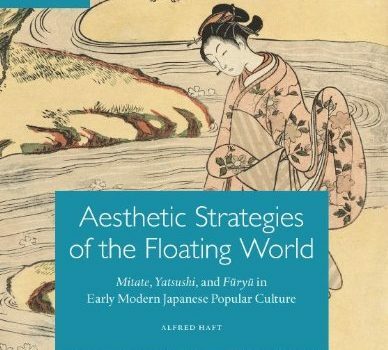 Join us for a book launch by Alfred Haft, Research Associate of the Sainsbury Institute and Project Curator for the British Museum where he will discuss his new book, Aesthetic Strategies of The Floating World (Volume 9, Japanese Visual Culture, Brill), from the Japanese Visual Culture series published by Brill. 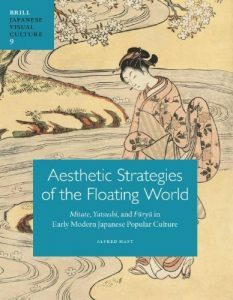 We will also have the opportunity to hear from Inge Klompmakers, acquisition editor at Brill, about their Japanese Visual Culture series and the collaboration between Brill and the Sainsbury Institute. The talk will be followed by refreshments.